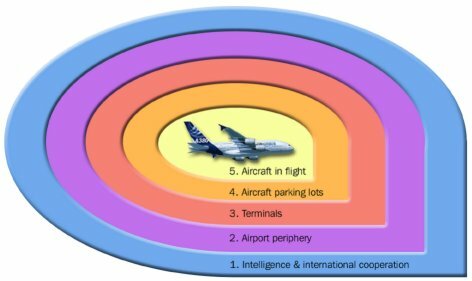 The SAFEE project or "Security of Aircraft in the Futur European Environment" has been set up to address the need for more security in civil aviation in response to terrorist attacks (hijacking, 11/9 scenario, ...). The SAFEE system will consist of the ultimate defence in case of failure of all the other security levels (see figure). 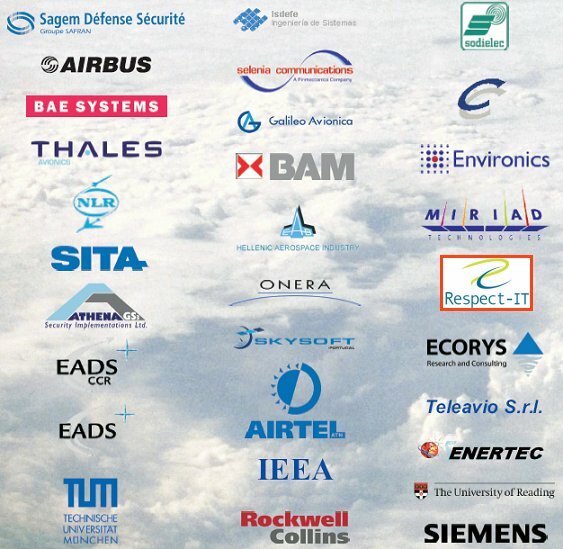 Thirty-one companies(including 9 innovative SMEs), research labs and universities are working under the leadership of Sagem Défence & Sécurité on this project 50%-funded by the EEC (6th FP). Respect-IT is the unique Belgian partner in the consortium. Respect-IT has been selected as a partner for its acknowledged expertise on requirements engineering. SAFEE requires to design new sensors in the aircraft, a new expert system to analyse threats and to support decision making regarding those threats. The responses to be provided includes protection against unlawful takeover of the aircraft. The project envisions to deploy tools for protecting and securing communication and data transfer inside the aricraft and with the ground. Respect-IT has been responsible for realising the requirements document for the software analysing the threats and supporting the decision making for the responses to those threats (TARMS subsystem: Threat Assessment and Response MAnagement System). More information on the process followed.